Your Scalp and You …. When the hair first starts to fall out (normally After your 2nd chemo) some people say the scalp feels very sensitive and can feel a sensation rather like prickly heat, others don’t notice any painful sensation. If it is painful, whilst not pleasant, it is normal and will usually stop once the hair has all fallen out. It can be explained by understanding that the hair is moving through the dermis (skin) layer as it falls out. Your skin may be more sensitive as a result of chemotherapy. 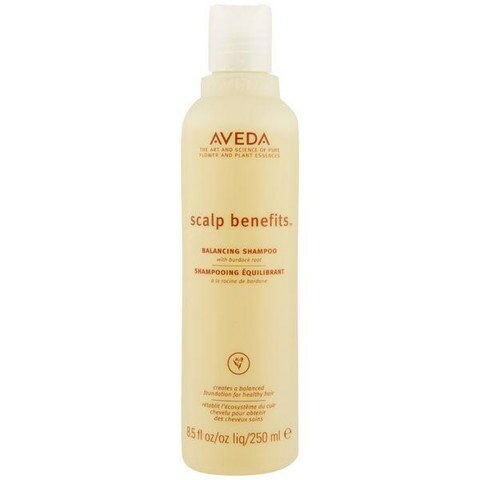 The scalp can feel prickly and irritable until the skin calms down. If you experience this, try using a mild tea tree lotion or shampoo or Aloe Vera gel to calm and soothe. Remember that this will stop soon. You can always chat to your nurse if you feel you need any pain relief or indeed if your scalp becomes very sore or spotty. In this case, your doctor may prescribe you a specialist shampoo or moisturiser Or in worsed case you may be having a reaction to the medication you are on such as steroids. Wearing soft and comfortable headwear can really help as your scalp may feel too sensitive for a wig at this time. When sleeping remember to have a hat or scarf that doesn’t have a knot at the back or any seams that will irritate your sensitive scalp. Some Doctors and nurses often recommend replacing your normal cotton or linen pillowcase with a satin one, or one made from smooth cotton sateen, as even the texture of regular cotton cloth can irritate a sensitive scalp. The terminology is often used interchangeably by doctors, but these conditions all tend to cause scalp irritation, often resulting in visible flakes in the hair. Seborrheic dermatitis (generally called dandruff when it appears on the scalp) can occur on any part of the body that produces a lot of oil (sebum). The skin can get very red and appear greasy, producing scales that may be white or yellow. Dandruff doesn’t actually CAUSE hair loss, but if your dandruff is accompanied by itching and you find yourself scratching often, then the scratching could be causing some hair to fall out. Doctors are not 100% sure exactly what causes dandruff. Although it often gets mistaken for dandruff (seborrheic dermatitis/eczema), psoriasis is a condition that’s usually found on the body but CAN occur on the scalp, causing dead skin cells to accumulate and form silvery, thick scales. In fact, the flakes caused by psoriasis tend to be a lot thicker and drier than those caused by eczema. with psoriasis, loosening – then removing – the scales is a very important part of keeping the condition under control. But some people tend to do this rather too vigorously, and it’s the severe picking and pulling that tends to lead to the hair loss that psoriasis causes, rather than the condition itself. Folliculitis is an infection of the hair follicles. It causes little red pimples that may feel irritated and itchy and which may leak blood or pus if they’re scratched open. Folliculitis only tends to cause hair loss if you scratch excessively, or if the infection has become very severe, in which case it can either scar the hair follicle, or even destroy it completely. Folliculitis can be caused by bacteria, yeast or another kind of fungus. It can also occur when the hair follicles become blocked or irritated by sweat. You can pick up folliculitis by using a public pool or hot tub that hasn’t been properly chlorinated, or by sharing a towel or wash-cloth with someone who’s infected. It usually clears up by itself within a couple of weeks, although you can help it heal more quickly by trying our tips (below). If it just won’t go away – or seems to get worse – then visit your doctor, who may feel you need an anti-fungal, antibiotic cream, or pills. This is a sensitivity to something that causes irritation on the skin. On the scalp, this usually means that the scalp becomes red, itchy or flaky because it’s sensitive to the ingredients in your hair products. Contact dermatitis will only cause hair loss if you’re scratching excessively and is easily remedied by avoiding the product you’re sensitive to. You can usually identify this by simple trial and error – and, in future, you might find it better to stick to more natural, gentle products if you find you have a sensitive scalp. Also known as tinea capitis, this skin condition can cause hair loss, although it’s usually only temporary. Although it’s rare, people do occasionally report an itching sensation at the onset of alopecia areata. Itchy scalp hair loss is sometimes a symptom of hypothyroidism – a condition where the thyroid gland doesn’t produce as much of the thyroid hormone (thyroxine) as the body needs to function effectively. Lupus is an inflammatory disease where the body’s immune system attacks its own organs and tissues. If your itchy scalp issues are accompanied by any of these other symptoms, then you should discuss your concerns with your doctor. Unfortunately, certain medications seem to trigger hair loss in some individuals, accompanied by itching of the scalp. Once such medication is the anti-depressant Wellbutrin, which some women seem to find causes burning/itching and general thinning of the hair. I hope this helps for issues like Alopecia areata, Hypothyroidism and lupus please contact your doctor or pharmacist.